A literary war novel with a split personality, about a protagonist who loathes his dual character. Ambition leads to excess in the sixth novel by Flanagan (Wanting, 2009, etc. ), a prizewinning writer much renowned in his native Australia. The scenes of Australian POWs held by the Japanese have power and depth, as do the postwar transformations of soldiers on both sides. But the novel’s deep flaw is a pivotal plot development that aims at the literary heights of Anna Karenina and Madame Bovary but sounds too often like a swoon-worthy bodice ripper. “His pounding head, the pain in every movement and act and thought, seemed to have as its cause and remedy her, and only her and only her and only her,” rhapsodizes Dorrigo Evans, a surgeon who will be hailed as a national hero for his leadership in World War II, though he feels deeply unworthy. His obsession is Amy, a woman he met seemingly by chance, who has made the rest of his existence—including his fiancee—seem drab and lifeless. She returns his ardor and ups the ante: “God, she thought, how she wanted him, and how unseemly and unspeakable were the ways in which she wanted him.” Alas, it is not to be, for she is married to his uncle, and he has a war that will take him away, and each will think the other is dead. 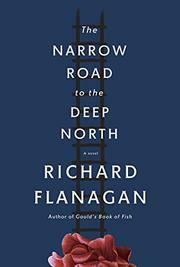 And those stretches are where the novel really comes alive, as they depict the brutality inflicted by the Japanese on the POWs who must build the Thai-Burma railway (which gives the novel its title) and ultimately illuminate their different values and their shared humanity. When the leads are offstage, the novel approaches greatness in its inquiry into what it means to be a good person. But there’s too much “her body was a poem beyond memorising” for the novel to fulfill its considerable ambition.